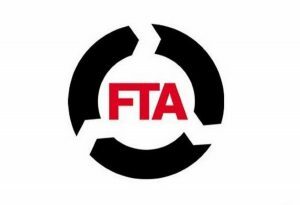 The Freight Transport Association (FTA) is gearing up once more to bring its popular Van Excellence roadshow back to the masses in 2015. Organised in partnership with Mercedes Benz Vans, the event is to be held on March 24th at Mercedes Benz World at Brooklands near Weybridge, Surrey and then again on March 27th at the National Motorcycle Museum in Birmingham. Each of the events will see a keynote address from director of policy and stakeholder management at the Driver and Vehicle Standards Agency Adrian Long, as well as discussions led by chief inspector Paul Keasey of West Midlands Police and Tim Ridyard of Woodfines Solicitors. Open to FTA members and non-members alike, the events will aim to inform attendees on the biggest issues facing freight operators in the UK right now. Topics that will be covered on the days will include strategies to help fleet operators better manage and reduce operational costs, how best to implement new processes for managing compliance and the penalties for non-compliance in legal matters and the potential impact of failing to meet required standards. FTA head of vans Mark Cartwright said: "The Van Excellence briefings give van operators the perfect opportunity to obtain the best advice from a practical, operational viewpoint; giving them peace of mind surrounding the operation of their van fleet. "It doesn't matter whether you're an existing Van Excellence member or not, these briefings are a must-attend event for anyone who operates vans."